Your smile immediately tells those around you how confident you are. If you’re ashamed to show your teeth, it can inhibit your social interactions. Don’t let shame hold back your social or professional confidence. Porcelain veneers will brighten any smile and flip insecurity into charisma. Dr. Charles Briscoe began his training at U.C. Davis and graduated at Georgetown University School of Dentistry. Over the past 32 years, he’s become one of the most sought after veneers dentists San Diego and La Jolla have available—all for his stunning aesthetic style, and ability to craft porcelain veneers to enhance the beauty of each patient’s unique mouth. Dr. Briscoe’s patients are treated as individuals with unique needs, always leaving his La Jolla office feeling proud of their glowing smiles. 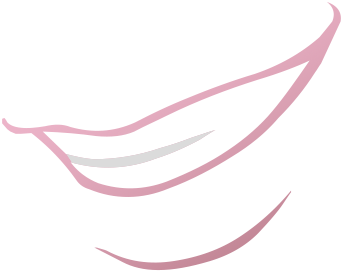 According to his patients, Dr. Briscoe is the best veneers dentist in La Jolla. Our teeth are prone to many bumps and bruises – they become discolored, and they chip, crack and twist in our mouths. Modern dentistry has numerous ways to correct our mouths’ imperfections. Among them, getting porcelain veneers is arguably the best because it’s transformative and completely painless. In addition to correcting cosmetic flaws, dental veneers can serve to correct functional problems. In some patients they can be used to correct bite problems. In others, dental veneers can lengthen teeth that are uneven, creating the dazzling even smile that is seen on celebrities and models. Dr. Briscoe has many patients working within the highly competitive Los Angeles entertainment market. Having the ability to quickly correct long-standing alignment and other spacing problems gives executives an edge and a big boost of confidence when negotiating high value contracts. A winning smile is an invaluable asset for everyone. It has measurable value for those working in sales or who must be picture-perfect at all times. Porcelain veneers can brighten a flawed mouth in two quick visits. They help restore the color of teeth that have begun to turn yellow. They also smooth out the appearance of cracks and bridge tooth gaps. If you’re looking to touch up your smile, you may be an excellent candidate for porcelain veneers. Porcelain veneers are a permanent cosmetic solution to dental imperfections. Placing them requires technical aptitude and aesthetic skill to attain an elegant result. Patients who want the procedure done expertly must examine the skill level and experience of the dentist they choose. 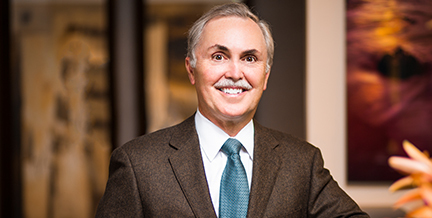 Dr. Briscoe has crafted and placed porcelain veneers for over 30 years and brings delicate precision to each procedure he performs. He is recognized by his patients for his superb work and dedication to perfection. Because of his reputation for producing exquisite dental veneers, many people travel to La Jolla to have their existing veneers repaired or rejuvenated. There are two areas of concern that Dr. Briscoe usually addresses; dental veneers that look dated and discolored and more commonly, veneers that simply look wrong for the patient’s mouth. One term used is ‘chicklet veneers’ to describe teeth that are too white, too thick and simply don’t look natural in relation to the rest of the teeth. Revising and repairing dental veneers is more difficult than original placement, which is why Dr. Briscoe is trusted to renew unsatisfactory results. Dr. Briscoe evaluates a patient’s gum and enamel health to evaluate whether any preparatory cleaning must be done prior to the placement of his famous La Jolla dental veneers. If a patient has gum disease, is in need of a root canal, or has untreated cavities, Dr. Briscoe will correct the ailments before the veneers are placed. This ensures that the patient’s overall dental health is in peak condition when the porcelain veneers are placed so that their entire mouth shines when the procedure is complete. The benefit of having Dr. Briscoe manage the process of placing porcelain veneers is that any remedial work can be done at his office, instead of you having to travel to multiple locations to receive your veneers. Additionally, the entire process is coordinated by Dr. Briscoe ensuring that your vision for a healthy, brilliant smile is achieved with no future complications. His high tech office, combined with his decades of experience is completely equipped to deliver whatever is needed to provide a solid foundation for permanent dental veneers. Getting your porcelain veneers placed or replaced entails two simple visits with Dr. Briscoe in his La Jolla office. Initially, you will meet with him to discuss your aesthetic vision and the treatment options available. In this meeting, you’ll identify your goals and Dr. Briscoe will help you choose the most aesthetically appropriate solution. Instead of merely showing you photos of how the veneers will look, Dr. Briscoe will take impressions of your teeth so he can show you a three dimensional model of exactly how the procedure will change your smile. In an effort to deliver among the best dental veneers San Diego and La Jolla have to offer, Dr. Briscoe ensures that every detail is discussed and reviewed. His attention to nuance is what makes him the best dental veneers dentist in San Diego. Modern dental veneers require very little preparation of the existing teeth. In some cases there is no preparation necessary but most patients require a few millimeters of enamel to be gently removed to make room for the thin veneers. Incorrect preparation is the main cause of unnatural ‘chicklet teeth’ that are too thick to properly fit the gum line. Dr. Briscoe is known as an ultimate perfectionist; he is not satisfied unless the dental veneers are perfect and look entirely natural. This is why he has many out of town patients who opt to travel to La Jolla for their procedure. During the following appointment, the veneers are placed. You will spend a week deciding if the veneers meet your expectations. If you wish to make an adjustment, Dr. Briscoe will make the necessary changes until you’re satisfied. The permanent veneers will then be bonded into place and the process is complete. In only a matter of days, your teeth will be fully functional and beautiful. The porcelain is as strong and durable as your natural teeth, and will enhance your elegance without detracting from your enjoyment of food. Your smile will light up a room! Porcelain veneers set your smile free. © 2019 La Jolla Dental Care. All Rights Reserved.